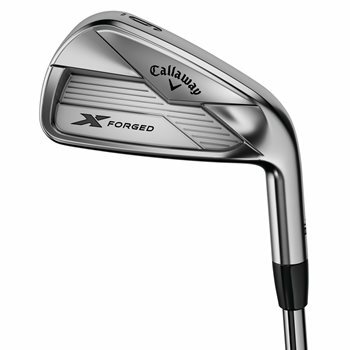 The Callaway X Forged irons are designed based on extensive feedback from Tour players with forged performance, precision shot-making and a classic finish. The extremely precise triple net forging provides exceptional feel and high performance and the Tour configured soles are designed for excellent turf interaction from a variety of lies. 20V grooves are built in to promote a high level of control and excellent spin out of any playing conditions and also reduce fliers from the rough. The CG locations are optimized for even more control. The irons are clean and classic with a smooth, appealing look at address.